Hello everyone, I am still living the dream in Atimonan! I am doing pretty good here and learning to let things go and depend more on the Savior, which sounds easy but can be difficult at times. I am always humbled by the members here in this area. The reality is that it takes sacrifice for anyone to be an active member of the church, wherever they are in the world. In Atimonan, most of the members are pretty well off compared to what I’ve seen in other areas and so even though they do make sacrifices, they have such a firm testimony of the gospel that it seems like nothing to them. The Glorioso family is so great! They feed us all the time, their son is a return missionary who works with us all the time, they have a daughter who is preparing to serve a mission, and there are two or three other little kids that just make us happy. Other members in this area just show us how we need to live in order to become Christlike. No matter what their trials or hardships are, they are at church smiling on Sundays. Some drive tricycles for a living, which yields minimum income, but they sacrifice on Sunday not just to come to church, but to keep the Sabbath Day holy and take a true day of rest. I’ve been learning a lot about the sacrifice of Jesus Christ for all of us and the role of the sacrament. I gave a workshop at district meeting about the sacrament – check out D&C 76:50-69 where it teaches us that in order to become perfect, we need to take the sacrament in order to have the spirit with us. So, other than that I am just trying to remove from myself and get lost in the work! We had a baptism this last week so that was exciting to see my companion perform that ordinance! We taught a lot of lessons, but only a fraction of our investigators came to church this week so that was kind of a bummer. We have some very neat people who are taking the lessons and preparing for baptism, so please keep them in your prayers. 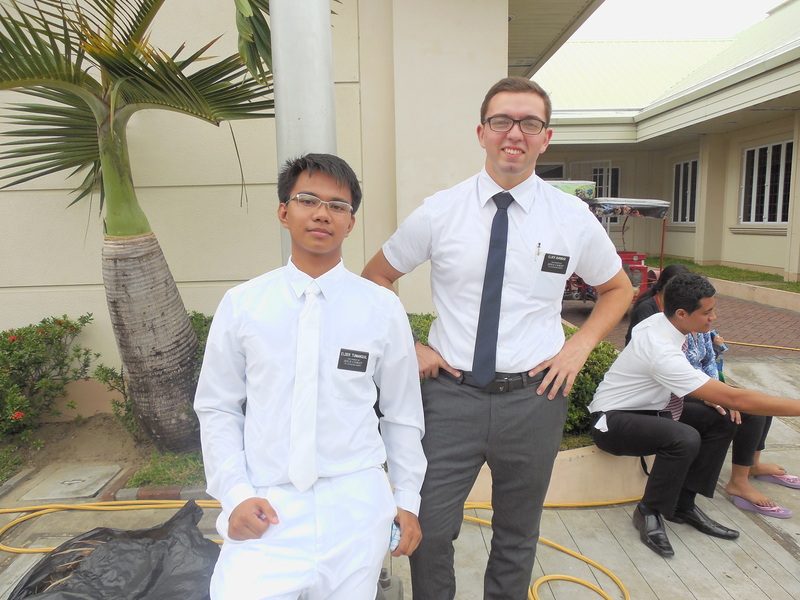 Elder Tyler Burbidge with his companion, Elder Tumanguil, prior to a baptism. Easter was a little bit more subdued than Christmas around here – that is for sure – but we were able to enjoy our Sunday. 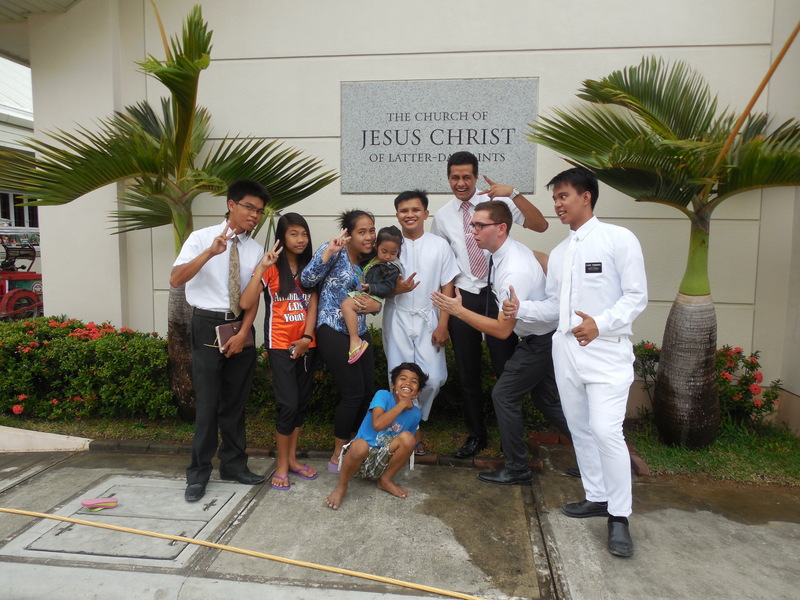 I miss you all back home but am happy to be on my mission and serving in the Philippines.